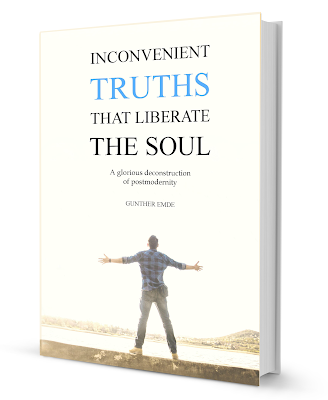 Your work Inconvenient Truths That liberate The Soul contains a chapter on Nutrition that is already considered one of the best contributions to the problem of diets. I experimented with food for twenty years. And I discovered that food is connected to the level of consciousness. Is veganism, for example, related to a higher level of consciousness? Undoubtedly. In the New Age it is discovered, finally, that the body is a primate that needs vegetables to eat. It is understood that the needs of the mind have nothing to do with the needs of the body. This fact can't be captured by a person who is in stages of consciousness below the New Age. So it has nothing to do with scientific studies. Nothing, because what science discovers or invents is dependent on to the society's average level of consciousness. A million years ago we were hominids whose primitive mind needed to hunt and eat meat, as a symbol of strength and power. We have never eaten meat for nutritional reasons, except in the glacial periods, when there were not enough vegetables. But when I think of a meat dish, I salivate. Yes, because a meat dish, roasted and seasoned, is a product that your mind needs to feel full of power. Nobody drools at the sight of an animal run over on the road. A true carnivore does. Okay, there you caught me. Hunting was the first psychoanalysis. Primitive humans learned through incorporation, as babies do. A baby brings everything to his mouth, it's his way of knowing the world around him. Well, give that baby an adult body: you get a hominid. The hominids began to hunt and eat animals due to a primitive psychic need, not due to a nutritional need. They projected their primitive impulses into the forces and elements of nature, elements that had to be incorporated into their bodies to obtain their power. Hunting as the first psychoanalysis. This is revolutionary. Only now can we begin to understand how our mind has colonized our body to an incredible degree, even making us believe that its needs are the needs of our body. And it's not like that. Of course not. Examine a human body on a dissection table: it's a primate, with a frugivorous physiology. Doctors say that we are omnivores. Most doctors are still in the rational stage, a stage still too influenced by primitive levels of consciousness, such as the mythical farmer and the magical hominid. And are there more stages of consciousness after the New Age? Oh, of course. This is what, for the moment, the Aquarian adepts don't understand. After the New Age comes existentialism, and then the subtle realms, which lead you to Non-Dual Consciousness. You see that the New Age is only a stage in the arduous journey towards Consciousness, in which the authentic needs of the organism are understood. But the existentialist says: very well, but what about the mind? You can not just ignore the mind. That's why I see so much frustration among the vegans. It is very natural, because if you feed your body with gastronomy, you will get sick. 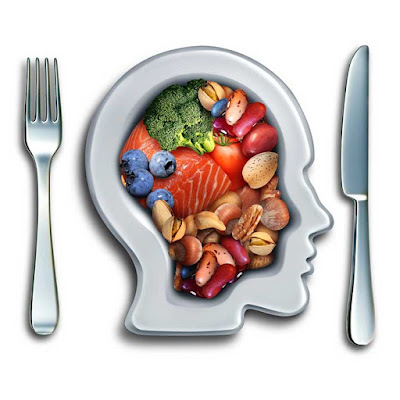 But if you feed your body with the food it needs (fruits and vegetables) then the mind feels frustrated. It's a war between body and mind! The mind has created gastronomy for thousands of years. It has turned food into symbols of power. If you deprive your mind of those symbols for a long time, you will have a problem. You will run to the refrigerator at night and then cry, feeling guilty. How to get out of that dilemma? In the book I clearly explain how to transcend this conflict. It's not an easy task, nor does it happen in two days. But when it happens, you know you're Free.